Helping optimize acoustics for today's commercial interiors, the ROCKFON Group offers an extensive portfolio of sound-absorbing, acoustic stone wool ceiling systems. These include baffles, islands and ceiling panels that can achieve Noise Reduction Coefficients (NRC) as high as 0.95. Sound-absorbing ROCKFON ceiling products shorten reverberation time, improve speech intelligibility, decrease noise levels and promote privacy. "ROCKFON Optimized Acoustics™ provides a simple, straightforward approach to meet current acoustic standards, guidelines and criteria, while keeping on budget. With ROCKFON ceilings you can optimize the ideal acoustic environment without compromising style or performance," says Gary Madaras, PhD, ASA, INCE, Assoc. AIA, acoustics specialist at the ROCKFON Group. "High-performing absorptive ceiling panels of NRC 0.90 can improve the acoustic experience in open-plan offices, classrooms, retail shops, health care patient recovery areas, as well as in multifunctional rooms, corridors, meeting rooms, lobbies and reception areas." Madaras explains, "NRC indicates the amount of noise absorbed by a ceiling material. Typically, the higher the NRC the better. Ceilings lower than NRC 0.70 often require additional absorption on the walls. Look to your ceiling panels to meet the high absorption requirements you need and to your walls for blocking, when it's needed." • ROCKFON Alaska®, with an NRC of 0.90, provides sound absorption for open plan offices, classrooms, retail and reception areas. • ROCKFON Medical Plus™, with an NRC of 0.90, provides sound absorption and superior hygienic properties for medical office buildings, acute care hospitals and eldercare residences. • ROCKFON Sonar®, with an NRC of up to 0.95, provides sound absorption for health care, education and open plan offices. Available in a wide range of standard sizes, styles and formats, ROCKFON acoustic ceiling products contribute to commercial projects' creative designs, industry-leading performance and sustainability goals. 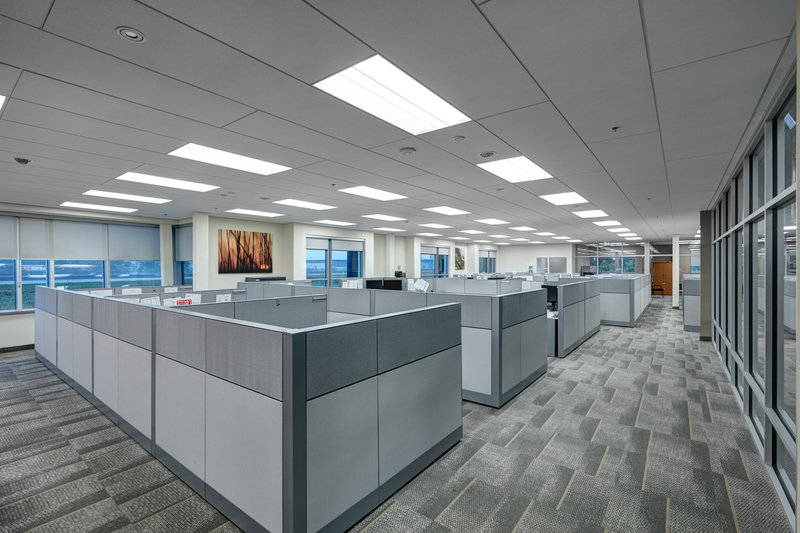 The panels' lightly textured white surface delivers high light reflectance (0.85 LR) to maximize daylighting and dimensional stability at up to 100 percent relative humidity. Contributing to buildings' environmental goals, ROCKFON acoustic stone wool ceiling products have earned UL® Environment's GREENGUARD Gold Certification for low-emitting products. Providing low maintenance and long-term durability, ROCKFON products supplied in North America are supported by a 30-year warranty. To learn more about ROCKFON Optimized Acoustics, please visit OptimizedAcoustics.com. The website serves as a digital hub of educational resources and tools on acoustical performance and ceiling systems. Visitors explore paths highlighting acoustic considerations that benefit occupants and owners.